Here’s the problem: you need to get on to the Internet to buy tickets to next Saturday’s Polka Fest. Unfortunately, Susie, your beloved, is hours deep into an online Scrabble game and she can’t just quit so you can do the Chicken Dance. If only you had WinProxy, all would be bliss. Here’s how I’ve configured networks connecting to the Internet via cable modems, ISDN and DSL with WinProxy. 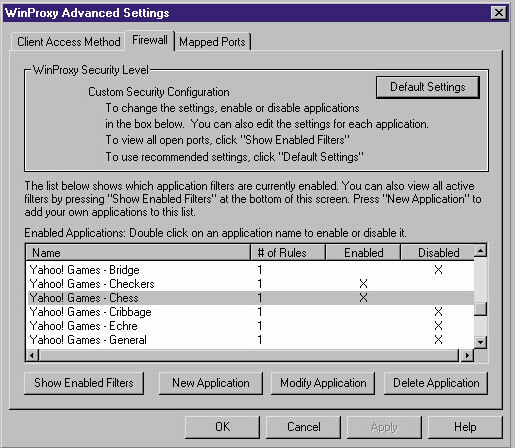 I’ll select one PC to act as the WinProxy box. This PC can continue to do other work on the network; it is, however, the LAN’s access point to the Internet, so it must remain powered-up any time a connection’s needed. In this PC there are two network cards: NIC A is attached to the Internet, NIC B is attached to the LAN. During the install, you’ll tell WinProxy which card is which. The install process will also allow you to set any ports you may want to open, types of Web content you want to filter out, and confirm your IP settings. Once WinProxy is installed, you can tweak as many settings you’d like. For example, you can determine when certain users or groups can use the Internet connection and what they can access. You can also filter out activities like chat or e-mail. WinProxy includes a six-month subscription to Trend Micro’s anti-virus service. This centralized anti-virus approach ensures that all incoming data is scanned before any viruses get onto your LAN. Be aware, however, that after six months of the anti-virus service you have to start paying for a subscription to continue using it. Fees for the anti- virus service range from $29.99 for one year for a three-user connection to $7,200 for two years with 250 users. WinProxy also installs a trial version of Secure Computing’s Smart Filter Basic service. This service provides filters to block objectionable content. Again, after six months you have to pay a fee to continue using this service. These fees range from $29.99 for three users for one year, to $3,800 for 250 users for two years for a more sophisticated filtering service. WinProxy licensing is available for three, five, 10, 25 and unlimited connections and ranges from $59.95 for three connections to $799 for the unlimited version. If you want to try before you buy, you can download a trial version of WinProxy from www.winproxy.com. Do I recommend WinProxy? Absolutely. Not only because I use it in my home and have installed it for several clients, but also because it delivers on its promises. See you at the Polka Fest. Joseph Phillips, MCSE, MCT, CTT enjoys Windows 2000, Windows NT, and old-fashioned subnetting. Joseph serves as a consultant and trainer. He is an author of several books covering topics ranging from Windows 2000 Network Infrastructure, Windows 2000 Security, and the A+ Certification Exam.